Wildpark Schorfheide is a nature park in Schorfheide-Chorin Biosphere Reserve, Brandenburg. 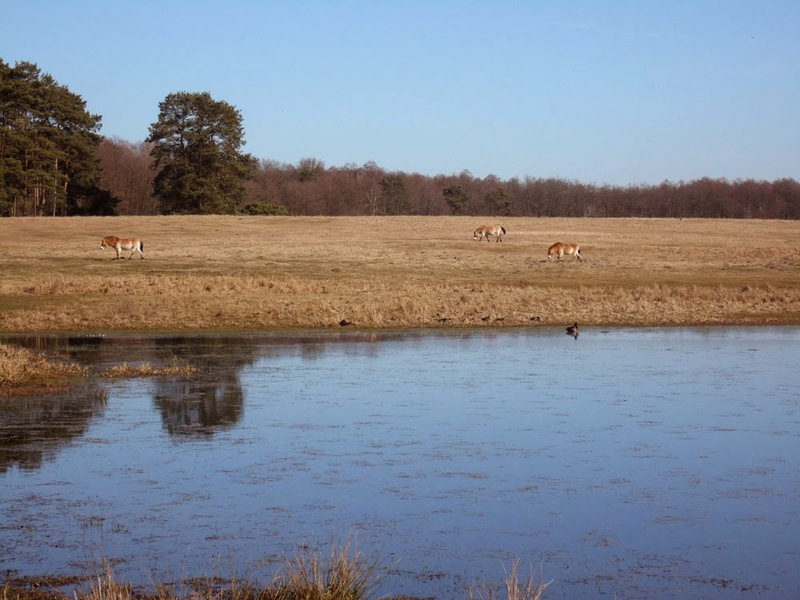 The landscape of woods, heathland, and lakes was formed during the last ice age, and it is the aim of the Wildpark to breed animals that would have lived here back then. 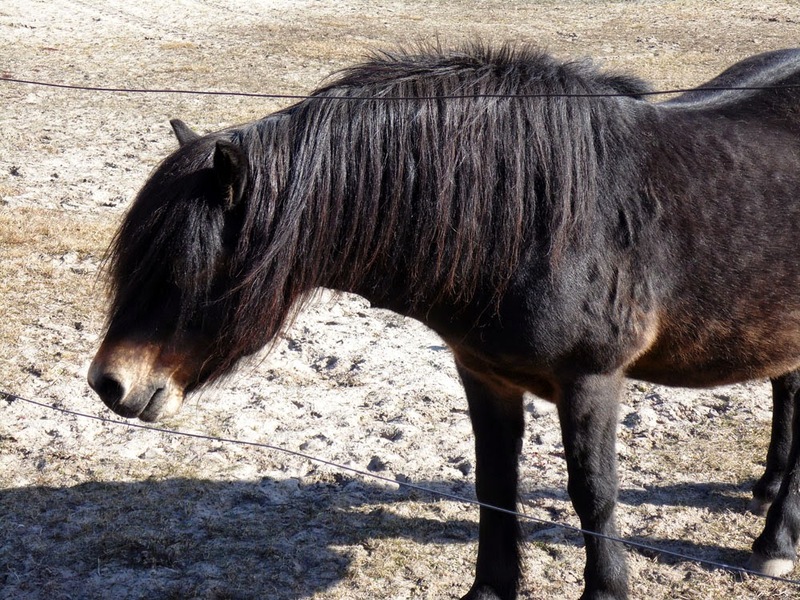 Along with lynxes, wolves, otters, wisents (bison), aurochs, elk, wild boar, and ancient breeds of sheep, the nature park has herds of wild horses, particularly of Przewalski's horse. These wild horses are native to the Steppes of Central Asia, but are closely related to the kinds of horse (now extinct) that once grazed across the whole of Europe and Asia. 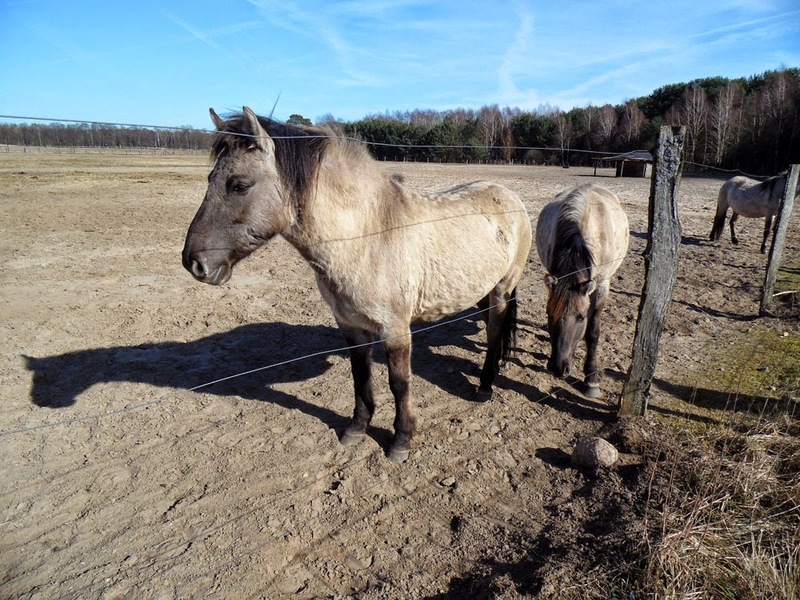 Przewalski's horses (named after the Russian explorer and geographer Nikolai Przhevalsky) are handsome creatures with a magnificent mane and colourings that come straight off the cave-walls of Lascaux. 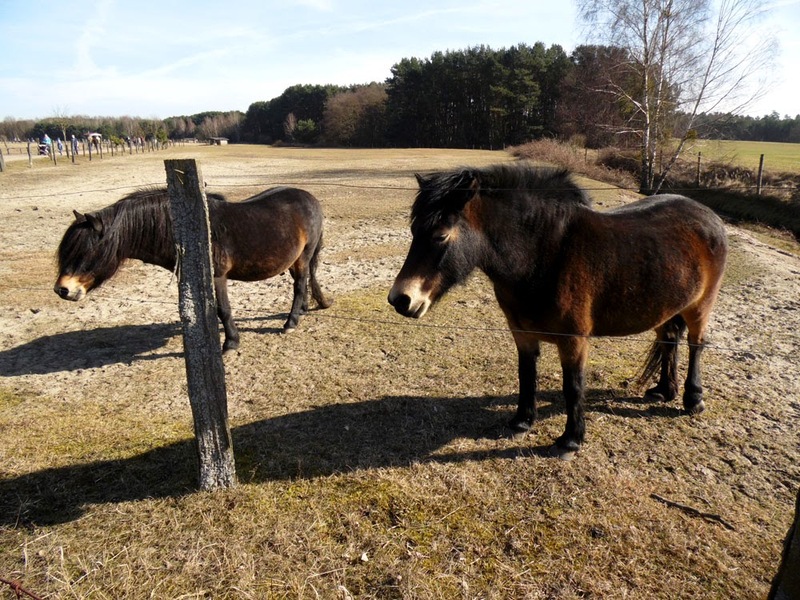 The Wildpark Schorfheide also have Exmoor ponies. 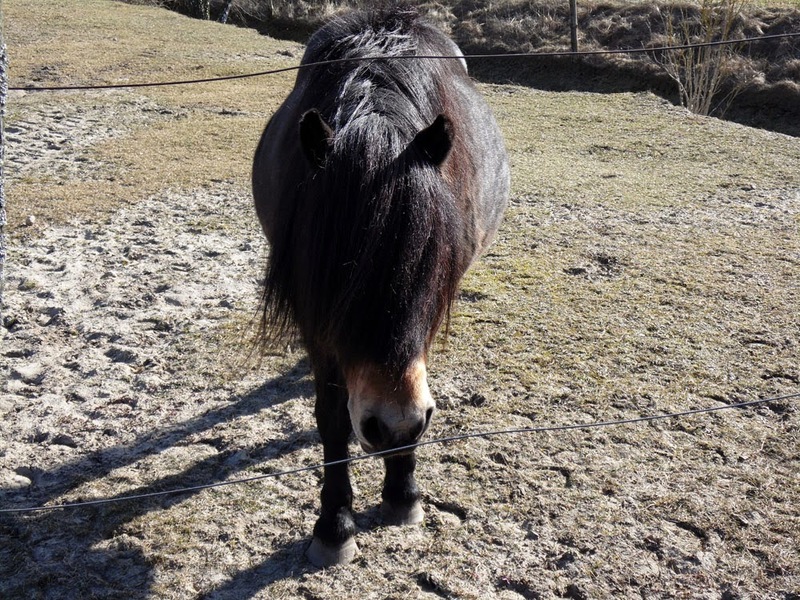 It feels a bit strange seeing British ponies in a German wildlife park, but in fact this breed is also very close to the prehistoric horses, commonly called the Tarpan, that lived across Europe after the ice-age. 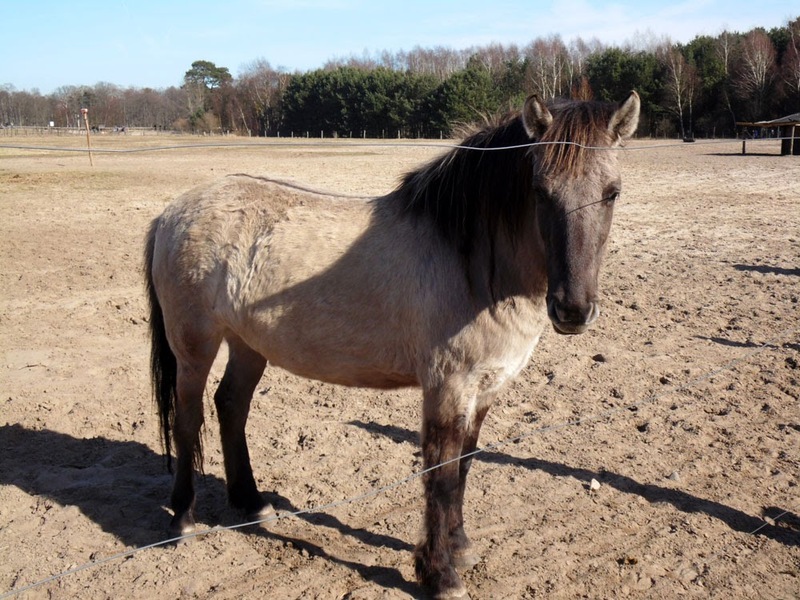 The third example of primitive wild horse at Schorfheide are of the Polish Konik. 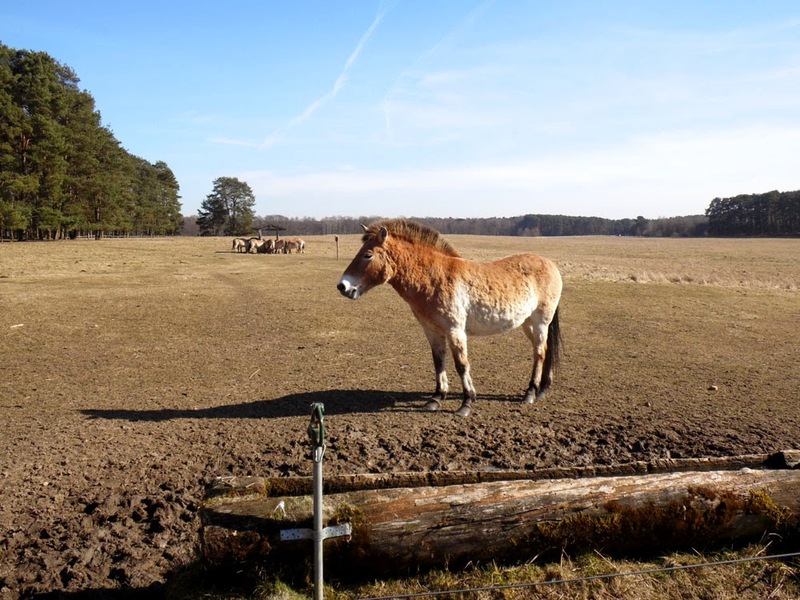 These semi-feral horses still live wild in Poland, and they were the original 'war horse' used by German and Russian troops to transport weapons and supplies in World War I. 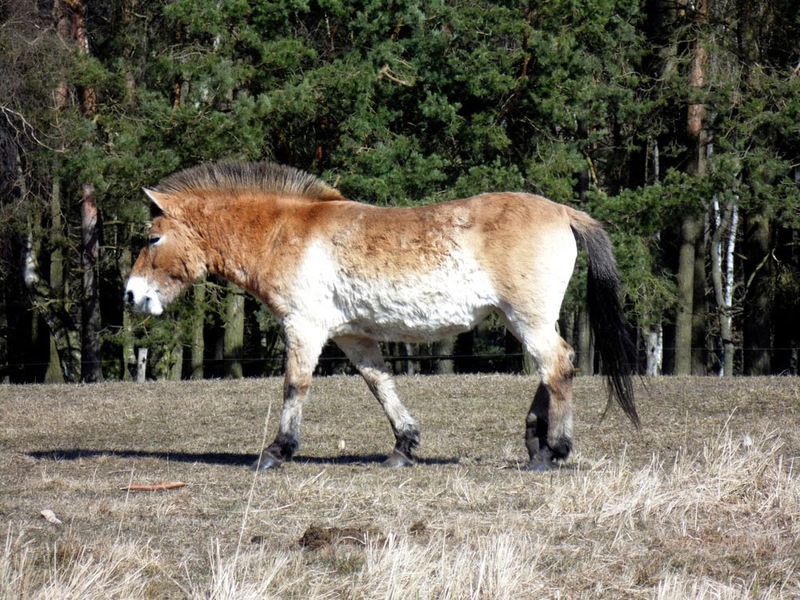 Between the wars, German brothers Heinz and Lutz Heck attempted breeding Koniks with Przewalski's horse and Icelandic ponies (closely resembling Exmoor and Shetland ponies, and taken to Iceland by the Vikings), in an attempt to recreate the extinct, prehistoric Tarpan. 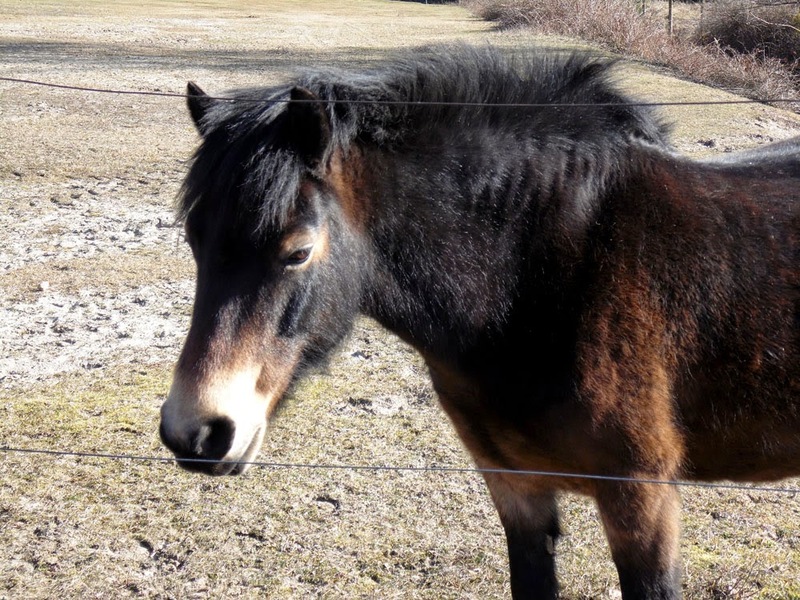 The result was the breed known as the Heck horse. 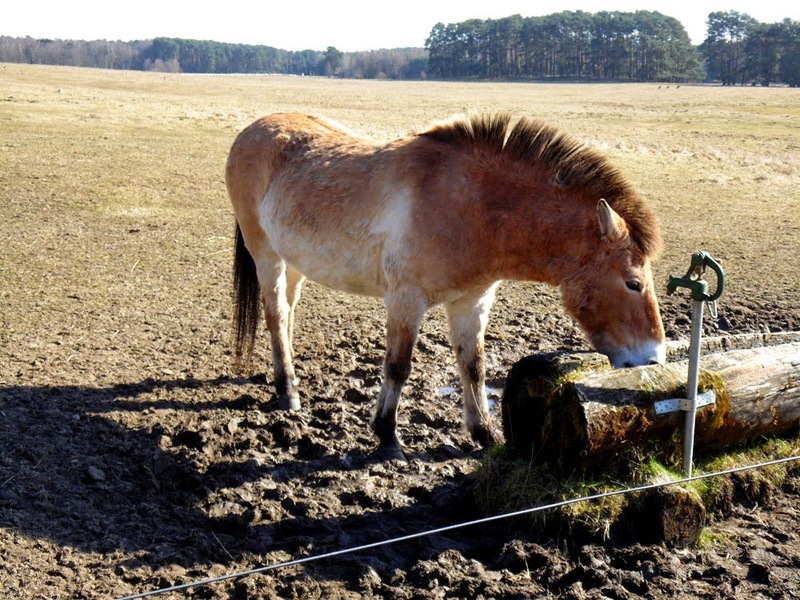 There aren't any examples of the Heck horse at Schorfheide, though there are some Heck cattle - an attempt by the brothers to backwardly genetically engineer an ice-age auroch. I don't really see the point of trying to recreate extinct horse breeds, but I am all for preserving the bio-diversity of this planet. If that means preventing the extinction of rare breeds like these beautiful wild horse then Wildpark Schorfheide gets my support!